You bought a one-of-a-kind top from Zara as the perfect gift for her birthday, but she says that Julie from work has a variation of that same top. Being a woman, I understand your plight. And the best way to prevent your girl from dismissing your expensive unique gifts is to buy something that is unique, personalized, and truly one-of-a-kind. A hand-painted silk scarf beats almost everything when it comes to unique gifts for your girlfriend. Other than the fact that it is coming directly from you, a hand-dyed silk scarf shows that you put in extra efforts to pamper her on her special day. Anyone can buy a luxury gift for her in 2017 when there is no shortage of options. But what matters is how thoughtful and personalized the gift is. 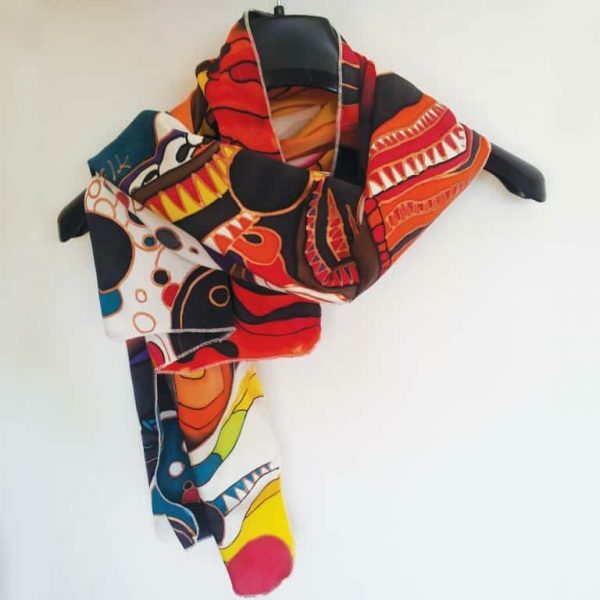 So, here are the top reasons why wearable art clothing like a designer silk scarf is the unique gift for her. Whether you are buying for your loved one or are treating yourself, here’s why getting something different makes sense. A custom-made silk scarf means the gift was bought keeping her and only her in mind. Unlike a designer top or an expensive gadget, it shows thoughtfulness on your part. When you order a hand-painted silk scarf from me, you can choose the design, the colors, and the overall theme. Is red your girlfriend’s favorite color? You should get her a red silk scarf with some cool graphics. Have you ever wondered what to give to a person who wants nothing or who has everything in life? It can be a challenge to find a suitable and unique gift for such a person. A silk scarf with surreal designs is what you should look for. It is always better to attach your emotions to your gifts because that way they stay for eternity. You cannot show your love and care for someone through an iPhone X. But you can surely do it through a hand-painted silk scarf. So, what are you waiting for? Don’t lose time as her birthday approaches; order a beautiful and personalized silk scarf for her today. I know how difficult it can be to buy the perfect gift for her. 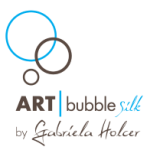 At ARTbubbleSilk, we have you covered.